These types of life-changing returns are easily achievable within a few years. You just need to employ the ultimate contrarian dividend strategy – and buy select “born again” payouts. Contrarian investing works because it capitalizes on overly-negative sentiment to find value. In the income world, this means buying when yields are abnormally high – and prices abnormally low – thanks to popular yet incorrect beliefs. Corporate bankruptcies can be particularly profitable events for strong-willed income investors like us because they extinguish any and all hope. But we can do even better. Look, I hate losing money – and I’m not interested in buying firms as they emerge from bankruptcy. I only want to buy stocks in companies that are definitely going to make it, so that I can hold them profitably for many years. I also want them to pay me a dividend. First Industrial leases distribution centers. And Bruce, as he described it, went “back to basics.” He had his team focus on increasing occupancy across his current facilities. Then, he started raising the rent on his tenants, and buying more buildings. 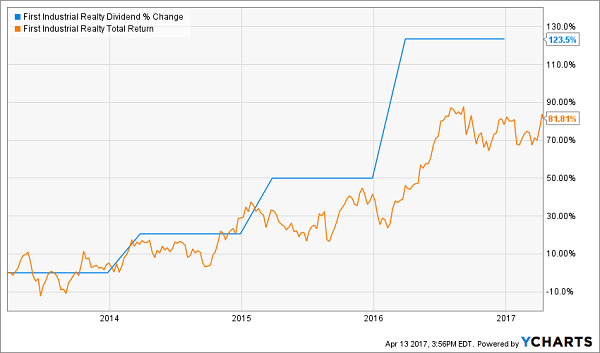 Its last dividend hike was an amazing 67%, and its stock price is still catching up. Which means this stock has 43% upside for the year ahead, thanks to its continued payout growth and share repurchases. I have an email with my full analysis attached ready to be sent to my Hidden Yields subscribers this Friday. Are you a current subscriber of our dedicated dividend growth publication? If not, why not? 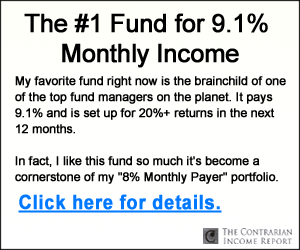 Let’s fix that and get you setup with a 60-day risk free trial. You’ll receive my favorite pick this Friday along with my latest report highlighting 7 more dividend growth stocks with 100%+ upside. 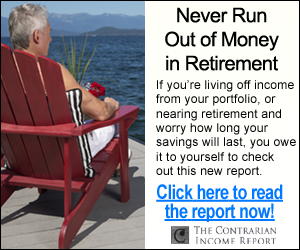 If your retirement nest egg isn’t yet where you always wanted it, these dividend growers are simply the safest way to guarantee 12%+ annual price gains while you also enjoy a current income stream that (oh by the way) happens to grow by 10%+ every year! 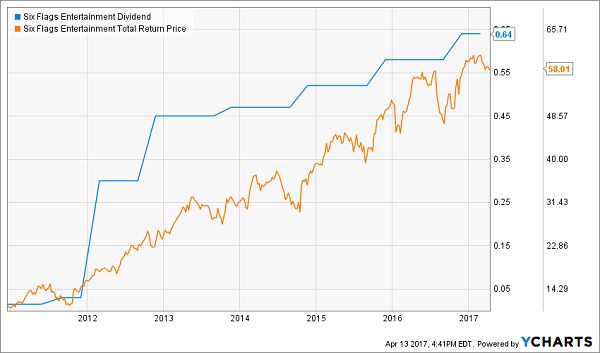 “Efficient market” proponents are dead wrong – you can bank 12%+ annual returns following this safe dividend growth strategy. Click here and I’ll outline this strategy for you in detail – and I’ll also share my 7 favorite buys today, including names, tickers and buy prices.